Carrrrrlos Images from my “iPhonography” exhibit, some illustrations and posters. A bit of a segue this week from iPhoneography. I’ve designed a poster to help raise funds for the relief efforts going on now in Japan. I had spent some time Friday sketching – took a break and continued yesterday – or wait -Sunday – it’s already Tuesday – aye. 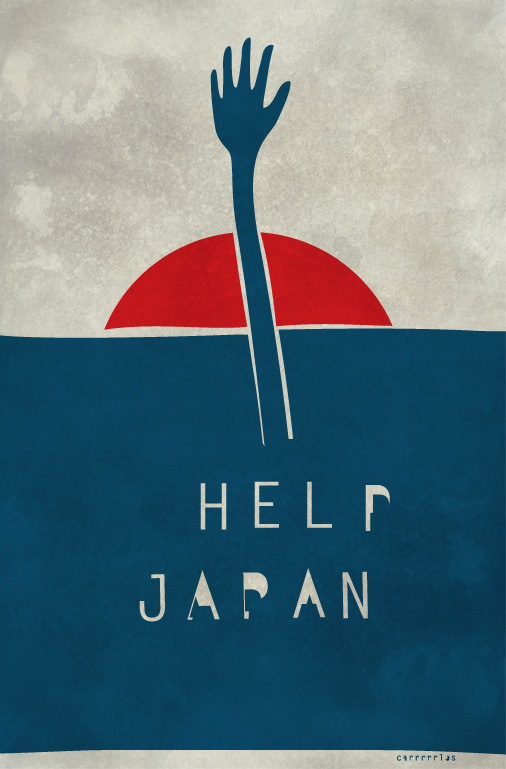 So I finished it up and modified my site a bit to facilitate the purchase of this poster – All proceeds from the sale of this poster will go to help the people in Japan.